One of my favorite artists is the Late Italian Renaissance, Early Baroque Caravaggista painter Artemisia Gentileschi. Over the years her work has been difficult to view – some times because her work was mislabeled or away for restoration or on loan to another museum. Some of her work is in private collections and is spread throughout Italy, France, England, and the US. She has a handful of important works in Florence, Naples, Sorrento, and Rome. There have been major exhibitions of her work in New York, LA, Paris, and Milan in the last few years and several documentaries on her canon. Her father was also an exceptinal maestro, Orazio Gentileschi, and often one can see a brushtroke by his daughter's hand as she worked in his studio under his tutelage for some time in her youth. They both have a connected but beautifully unique style from each other in the emotion on the canvas. Orazio's work is all over the world, including some major pieces in NYC, London, Italy, and in Boston (Cambridge). 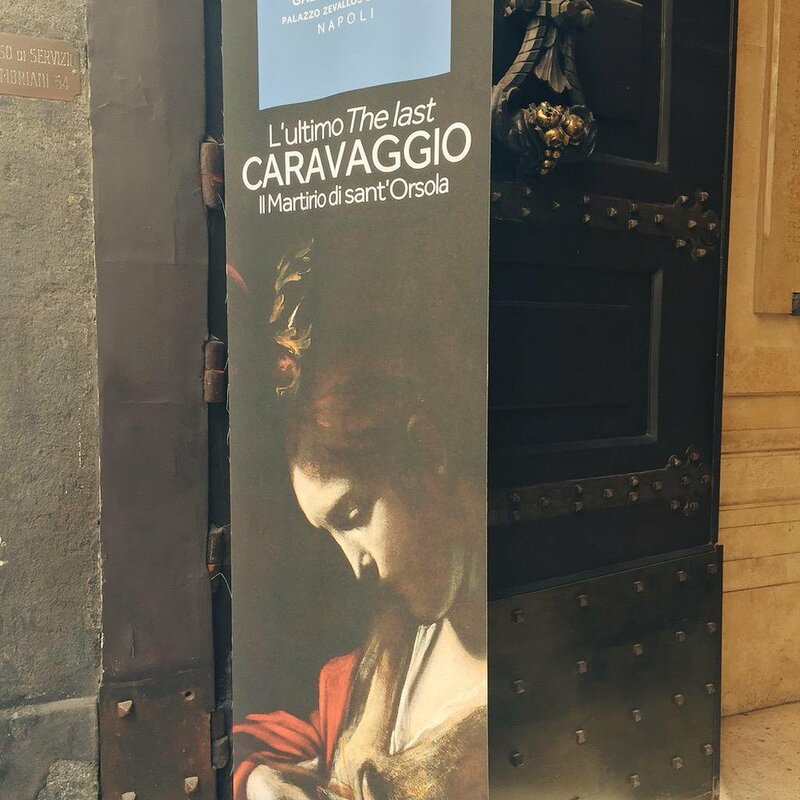 He was a friend and colleague of the great Carravaggio and like his daughter, is one of the Caravaggisiti, followers of Caravaggio. One can see it in their interpretations of his chiaroscuro. I’ve been obsessed with seeing all this maestra's intact works in person before I die, along side the two maestros, and hope to achieve it. 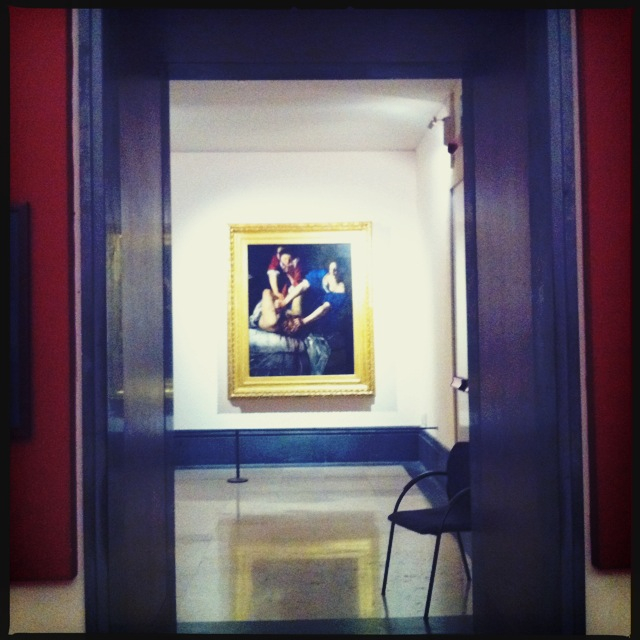 The NAPOLI COPY of JUDITH SLAYING HOLOFORNES by Artemisia Gentileschi. En Italiano: Giuditta e Oloferne di Artemisia Gentileschi è un quadro (olio su tela, cm 159 x 126) che si trova a Napoli nel Museo di Capodimonte (inv. Q 378), nella Galleria Napoletana. 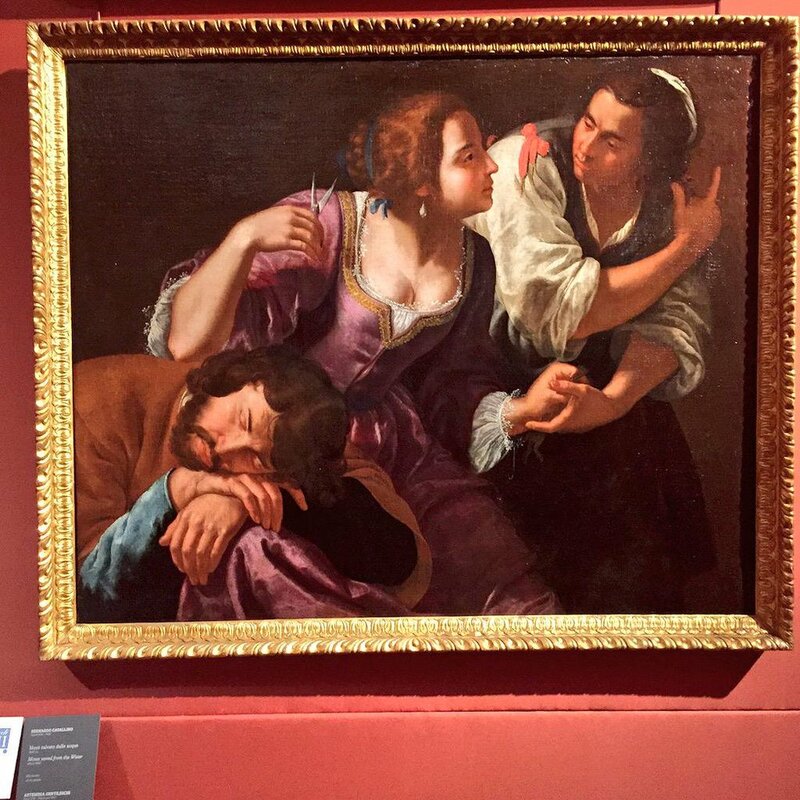 The Samson and Delilah painting by Artemsia Gentileschi in Naples is sometimes hung in the Museo Nazionale di Capodimonte or in the BANCO di Napoli art gallery upstairs (on Via Toledo). Museo di Capodimonte is an art museum in the lovely Palace of Capodimonte, a grand Bourbon palazzo in Naples, Italy. My film shot of Artemisia Gentileschi's sole painting in Sorrento, Italy at the Museo Correale di Terranova... the Maddalena Penitente, Opera di Gentileschi. Via Correale 50, 80067, Sorrento, Italy. 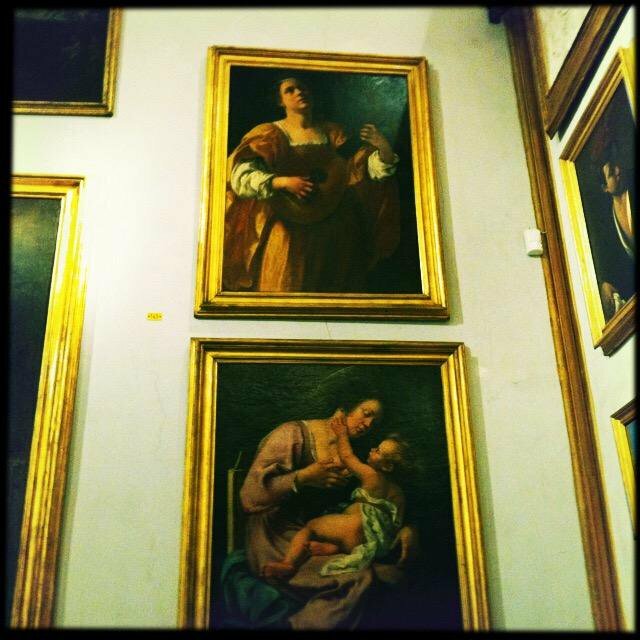 The two paintings of Artemisia in Roma. 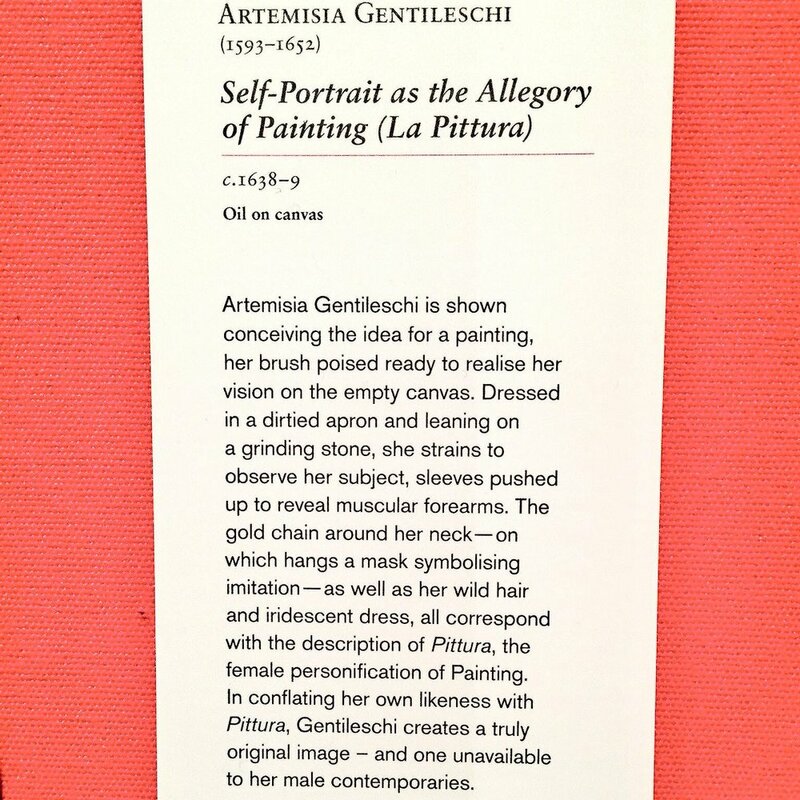 FLORENCE: Uffizi Gallery and the Palazzo Pitti both possess major paintings of Artemisia. Address: Piazza de' Pitti, 1, 50125 Firenze FI, Italy - Construction started: 1446 - FOUR paintings of Artemsia are hanging in the Pitti in Firenze. LONDON: Buckingham Palace, Buckingham Palace Rd, London SW1A 1AA, United Kingdom. 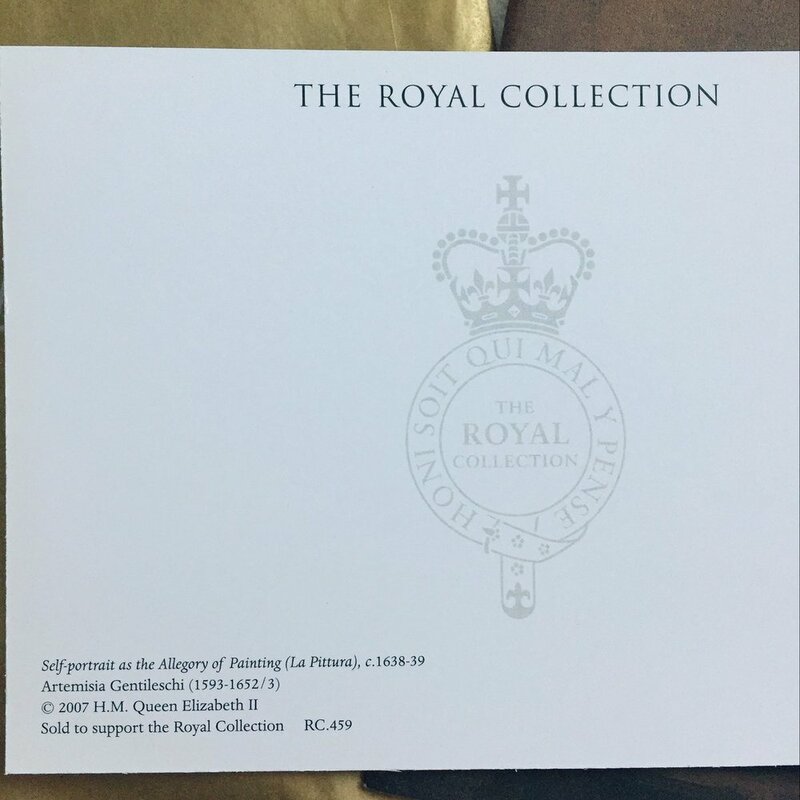 The Queen's Collection of a self portrait by Artemisia Gentileschi, in permanent collection, sometimes on show.